Book a Fräulein Maria’s Bicycle Tour in advance via its website. Carts are available to pull children behind the bikes. We fit both of our children into one cart. Also, pack a picnic lunch to enjoy in Mirabell Gardens after the tour. The bicycle tour is approximately 8 miles (13 km) of biking throughout the city and surrounding area. There is only one big hill and it is possible to walk the bike up the hill. People of all athletic abilities and ages can participate in the tour. Lastly, guides are paid after completion of the tour, so make sure to bring cash. Bicycle tours begin at 9:30 a.m. each day and last approximately 3.5 hours. In June, July and August there is also a 4:30 p.m. tour. 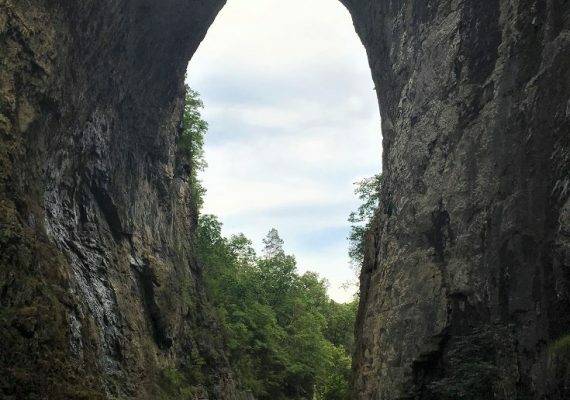 Bicycle tours run from April through October only. Our children shared a bicycle cart, so we only had to pay for one child. Fräulein Maria’s Bicycle Tours also offers several discounts. It offers a 2 euro discount if you travel with the guidebook “Rick Steves” (show it to the tour guide when you pay), a 10 percent discount if you have a Cycle Cities card and special discounts for tours of 10+ people. If you are traveling to Salzburg, Austria and are up for a bike tour, there's no better tour to take than the Sound of Music bike tour. It's the perfect way to see the Salzburg attractions and the surrounding countryside. 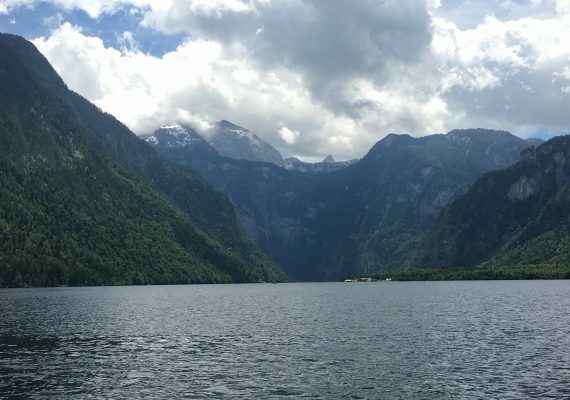 Fräulein Maria's Bicycle Tours offers people of all ages an opportunity to see the historic locations in and around Salzburg where "The Sound of Music" was filmed. In addition to the wonderful sights, the guides are knowledgeable as well as entertaining. What could be more fun that singing "Do-Re-Mi" as you cycle through a field of poppies overlooking the beautiful fortress? After a busy morning biking through the sites of Salzburg, spend a relaxing afternoon enjoying the picturesque Mirabell Gardens. Pack a picnic lunch and find a quiet spot to enjoy the magnificent landscape and views. 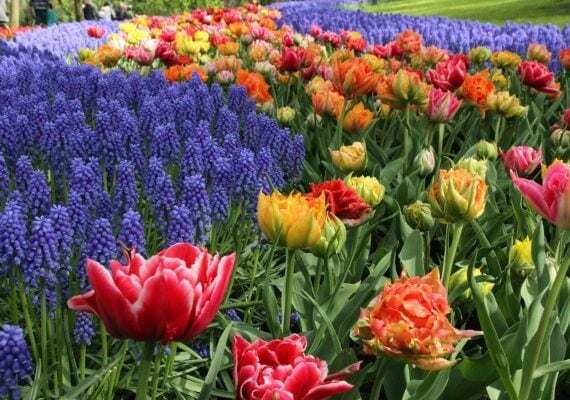 Once everyone is rested and well-fed, explore the colorful gardens. Let your little one run through the vine-covered tunnels and along the fountains. Have fun channeling your inner Fräulein Maria on this Salzburg with kids itinerary. Fräulein Maria’s Sound of Music bike tour is a great way to see Salzburg. The bike tour takes you through the city and the beautiful surrounding areas, hitting the main Salzburg attractions. 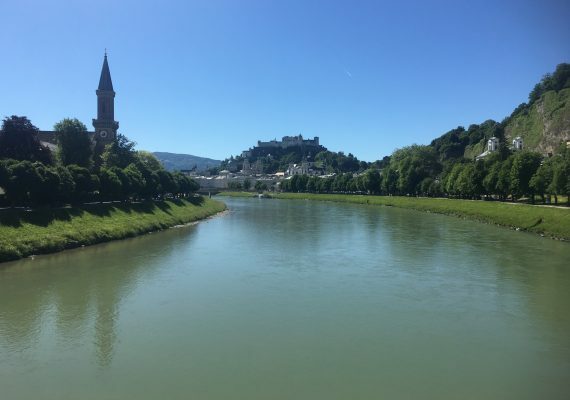 The guides provide information on the history of Salzburg, important landmarks and, of course, all of the locations used to film “The Sound of Music.” You will enjoy the picturesque locations from the bikes and make many stops along the way. What can be better than singing “Do-Re-Mi” while cycling through a stunning field of poppies? Our daughter loved singing along with all of the songs from the Sound of Music and visiting the locations she recognized from her favorite movie. Our son even took a little nap in the bike carrier. This tour is highly recommended for all visitors to Salzburg as the perfect way to see the gorgeous city. DIRECTIONS The meeting point is located at Mirabellplatz 4, 50 m (55 yards) left of the entrance to the Mirabell Palace. It is opposite the big Saint Andrews Church (Andräkirche). Look out for the Fräulein Maria’s Bicycle sign and a whole lot of bicycles. Additionally, bus routes stop at Mirabell Gardens. There is also a parking garage located directly below Mirabellplatz. TIP The tour makes many stops along the bike ride to view different landmarks and locations. This offers parents opportunities to feed kids snacks. We didn’t pull them out of the bike carrier at every stop. Our guide let us know when we would be staying at a stop for more than just a few minutes. The Fräulein Maria’s Bicycle Tour offers you a glimpse of Mirabell Gardens during the tour, but you will not get nearly enough time to truly enjoy the beauty of this place. Therefore, after the bicycle tour ends, walk through the arches to the gardens and spend some time exploring. Pack a picnic lunch and find a quiet place in the gardens to eat and rest after a busy morning of biking. There are benches and quiet areas near the back of the gardens and also in the Dwarf Garden. Afterwards, spend some time meandering through the different features of the gardens including the vine-covered arches, Pegasus Fountain and Rose Garden. The views of Hohensalzburg Fortress from the gardens are some of the best in town. Our kids loved running through the arches and smelling the beautiful flowers. For an excellent finish to the day, enjoy a well-earned ice cream treat from a stand near the gates. DIRECTIONS The bicycle tour ends right in front of Mirabell Palace. Once you drop off your bike, stroll through the arches to the gardens to enjoy a picnic lunch. TIP There are quiet areas near the back of the gardens to enjoy a picnic lunch away from the crowds. There is food available near the gates if you prefer. WE LOVEDVilla Trapp is the actual home of the Von Trapp family. It is the perfect place to stay for “The Sound of Music” enthusiasts. The home is beautifully decorated and the grounds are gorgeous. The staff is very friendly, helpful and accommodating.